In Atlanta, accident injuries can occur anywhere and anytime, usually when you least expect them. You can be injured at work or while driving to an appointment. You could slip and fall in a parking lot or on a slippery mall floor, or you could just as easily be injured by a defective product. The possibilities are endless. No matter the type of accident, the harm you suffer can be devastating psychologically and financially to you and your loved ones for years to come. You may face exorbitant medical bills and therapy as well as the loss of income. It can be especially terrifying to face the aftermath of an accident injury in Atlanta if you are the main wage earner for your family and find yourself temporarily or permanently unable to work. You would be wise to obtain legal counsel from an experienced accident attorney in Atlanta to help you file a personal injury lawsuit and recover damages for your injuries. A qualified Atlanta accident lawyer can deal with insurance companies and other parties while you recover. If you are involved in a complex personal injury case, your Atlanta accident injury attorneys must know how to fight for the compensation and justice you deserve. Parties represented by an attorney can expect to collect significantly more than those who attempt to go it alone. 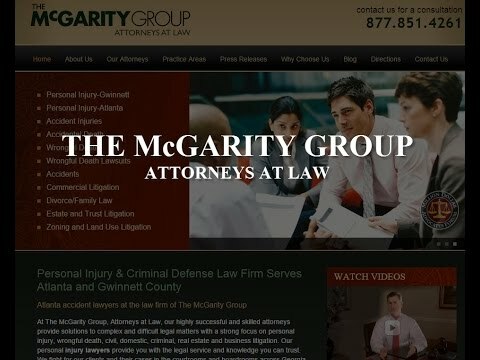 Be wise and speak to one of the accident lawyers in Atlanta at McGarity and Efstration, a highly regarded accident law firm. If you are suffering because of a Gwinnett County accident injury, contact McGarity and Efstration to arrange for a free consultation with one of our accident attorneys in Buford or Brasleton.